I found myself with a bit of free time after work yesterday as the ladies of the house were out visiting some friends and had not returned home yet. 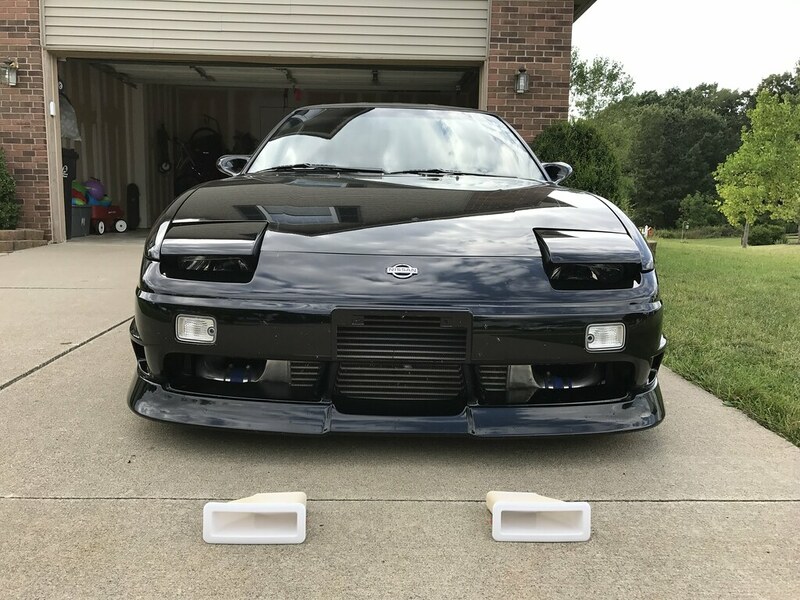 I decided to do something to my car that I have been considering for years but never pulled the trigger on- removing the OEM turn signal brackets from the kouki 180SX bumper. A photo from spring of last year showing the OEM front lighting. I’ve changed my mind numerous times over the years in regards to the OEM kouki lower turn signals. 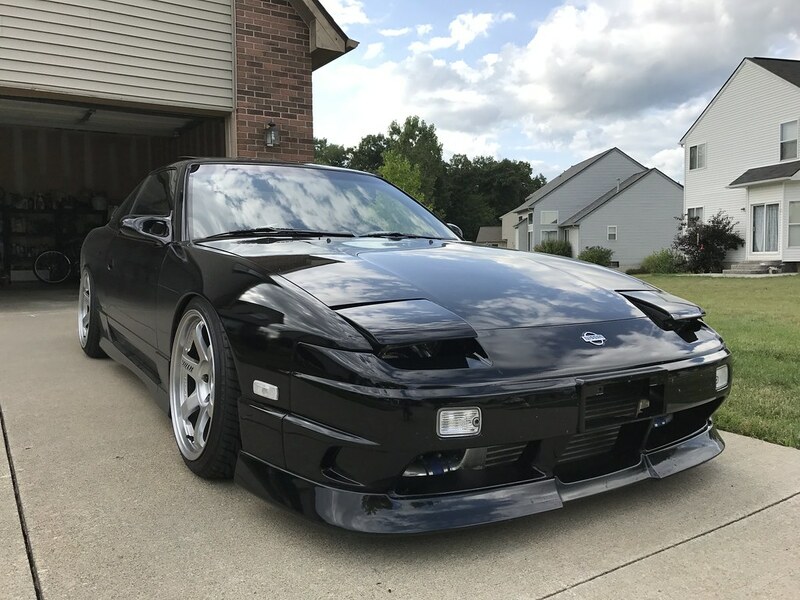 I purchased them when I first made the switch to the late model 180SX aero, only to end up using DMAX dual function position lamps instead. I ended up running a pair for a few months during my OEM styling phase last summer only to remove them once more in favor of the DMAX setup. In the end, I prefer the cleaner and more aggressive look of clear side markers and position lamps with the lower turn signals removed. 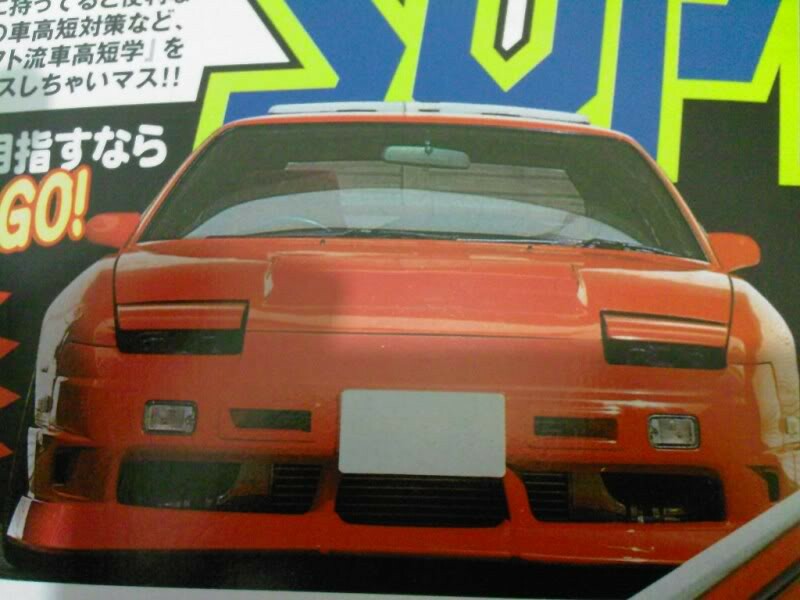 I can’t tell you how many photos of 180SXs in Japan I have saved over the years trying to make a case for the different front lighting setups, but I think the current configuration is my favorite. 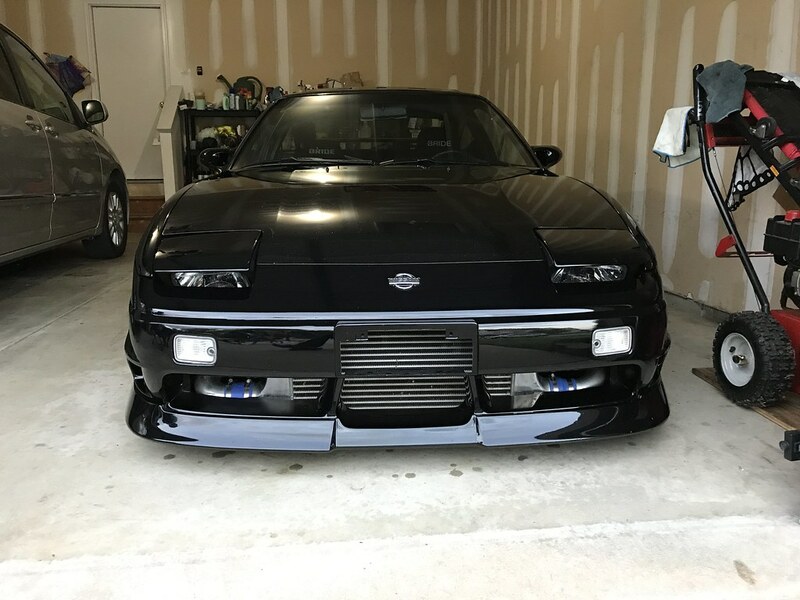 Since I also took the leap and decided to finally cut out the license plate area of the bumper to expose the intercooler last year, I figured it was time to follow suit and also cut out the turn signal brackets, much like Itoh did on his Break 180SX. 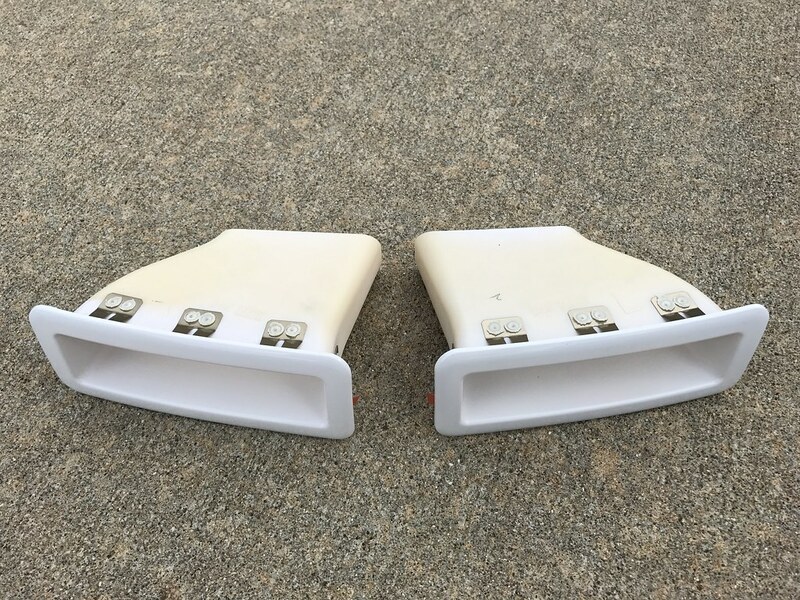 I’ve always left these in place for two reasons- for added support of the bumper when dragging the lip over speed bumps and steep driveways, and in case I decided I wanted to run the turn signals again. 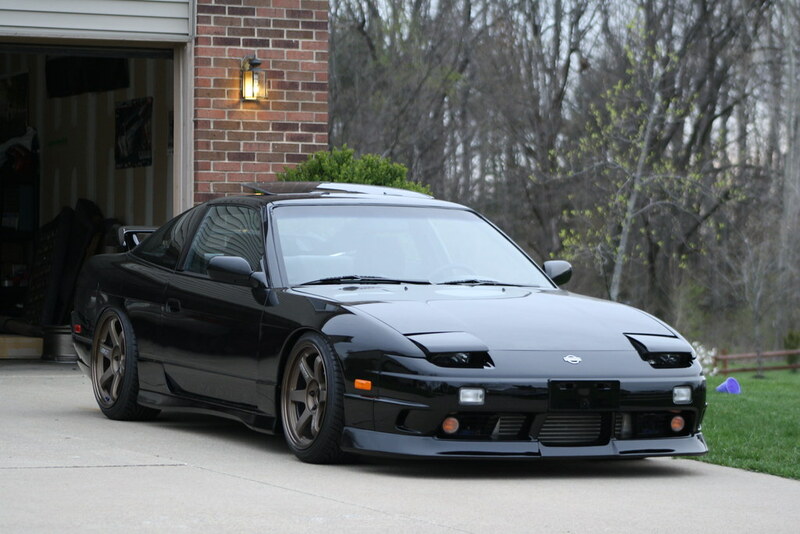 Maybe one day I will have a spare OEM front bumper with all of the lights and the plate area left intact, but for now this is the look for me. While most will not even notice the difference, I am really happy with the results. It opens things up a bit in front of the intercooler and gives the bumper a slightly more aggressive look. While it is less noticeable on a black car, I am glad I decided to take the time to do this. I always enjoy making changes to the car and stepping back to observe them for the first time, even when they are as minor as this. Good fun! This change prompted me to once again consider installing my R33 GTR N1 vents. This is the third pair of these I have owned over the years despite the fact that I have never been able to make myself install them. I am always concerned about fitment and the installation process. I am also pretty fond of the look of only the plate cutout, making this a tough decision for me. I might finally pull the trigger and install them this winter now that they have been discontinued, but I sometimes feel a vented hood is required to really do these vents justice. We’ll see what happens! I’ve got one other minor exterior change I am going to experiment with next week, so stay tuned for that update.